According to numerous reports this week, Securities America is facing a lawsuit alleging a broker the company fired last year cost a family $18 million in losses and the company failed to supervise him. As we told you previously, Hector May pleaded guilty in federal court in December to operating a Ponzi scheme and now faces up to 25 years in prison. In the alleged scheme, with his daughter who served as the controller of his investment advisory firm, May would purportedly offer to buy bonds for investment advisory clients, solicited their funds for the investments, and then transferred the money for personal expenses. At least 15 investment advisory clients were reportedly victims to May’s alleged scheme. Securities America reportedly fired May in March 2018 for “misappropriation of client assets”, according to his FINRA BrokerCheck report. Further, in February of this year, May was barred by the Securities & Exchange Commission from working in the securities industry. The Jamieson family has named both May and Securities America in their lawsuit filed in U.S. District Court for the Southern District of New York in February, according to InvestmentNews. The complaint alleges Securities America failed to perform its duties which allowed the scheme to continue. It is further alleged in the complaint that the broker dealer chose to ignore several red flags that could have possibly stopped the scheme. The White Law Group is investigating potential securities fraud claims involving Hector May and the liability his former employer, Securities America may have for failing to properly supervise him. Those investors that incurred losses investing with May may be able to recover those losses through the FINRA arbitration process. 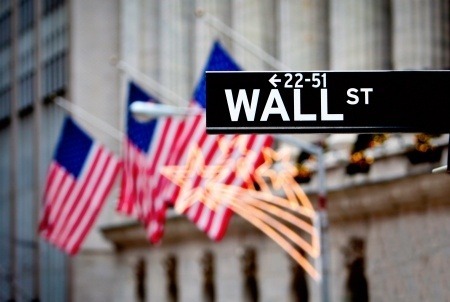 We represent investors in FINRA arbitration claims in all 50 states including New York. Our attorneys have recovered millions of dollars from many brokerage firms in the past. If you have suffered losses investing with Securities America, please call the securities fraud attorneys at The White Law Group at 888-637-5510 for a free consultation. For more information on The White Law Group, and its representation of investors, please visit www.WhiteSecuritiesLaw.com.